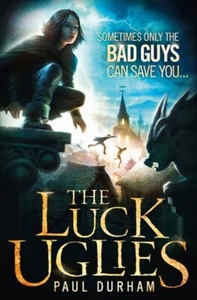 Luck Uglies was a name whispered around the docks and darkest taverns, places where men played fast and loose with the law... Rye has grown up hearing the legend of the Luck Uglies - notorious deadly outlaws who once stalked the streets. Now they have faded to ghosts and rumours and Rye isn't sure they ever existed. Then on the night of the Black Moon, strange cries are heard from the forest Beyond the Shale, and dark shapes glimpsed in the shadows. Together with a mysterious stranger known only as Harmless, Rye is about to discover that it may take a villain to save you from the monsters... Enter a thrilling world of secrets and adventure in this immersive fantasy from a phenomenal new writing talent.